[Quanti altri ancora dovranno arrivare ad uccidersi pur di porre fine alle proprie sofferenze, prima che si prendano seri provvedimenti atti non solo a tutelare chi soffre di Elettrosensibilità (e dunque ha la vita distrutta dalla malattia), ma anche chi ancora non si è ammalato? Perché dobbiamo ricordarci che la tecnologia Wireless è un possibile cancerogeno per l’uomo, in aggiunta in grado di causare un notevole stress ossidativo in praticamente tutti i soggetti esposti, cosa che provoca un invecchiamento accelerato. The parents of a 15-year-old schoolgirl who hanged herself in woods near her home in June this year say her school could have done more to listen to her cries for help. Jenny Fry, a pupil at Chipping Norton School, was found by her mother, Debra Fry, hanging from a tree at Brooke Woods at 4.20pm on June 11. 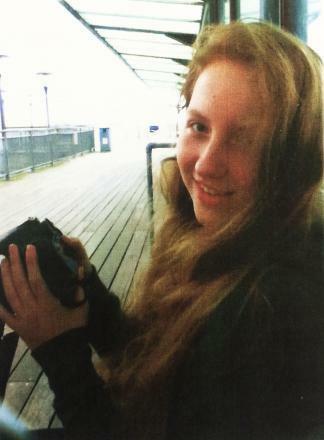 The inquest at Oxfordshire Coroners’ Court on November 19 heard how Jenny, who was described as intelligent, non-judgemental and organised, had not been seen since leaving home to go to school on the morning of Thursday, June 11, although she did not get on her bus to school. A police statement said at 9.36am and 10.05am she sent a text to a friend about her intentions and stating where she was. Her friend did not have her phone with her that day. Now Mrs Fry and Jenny’s father, Charles Newman, say they will continue their campaign to have the dangers of WiFi in schools addressed. During the inquest, Mrs Fry said Jenny had first started showing symptoms of electro-hypersensitivity (EHS) around November 2012, including tiredness, nausea, headaches and bladder problems. It was the time Jenny’s parents briefly had WiFi connected to their home and, said Mrs Fry, that Chipping Norton School had WiFi installed. “Jenny was getting ill and so was I. I did some research and found how dangerous WiFi could be so I had it taken out of the house. Both Jenny and I were fine at home but Jenny continued to be ill at school in certain areas. She was receiving lots of detentions, not for being disruptive in class or misbehaving, but often because she used to take herself out of the classroom to find another where she was able to work. She took her schoolwork seriously. “I took lots of information into school to show the headteacher, Simon Duffy, but he said there was equally the same information available claiming WiFi was safe. I also had a heated exchange with teachers telling them Jenny was allergic to WiFi and that it made no sense making her take detentions in rooms that were making her ill. The least they could do was allow her to take them in rooms where she felt able to concentrate, but they wouldn’t listen,” she said. “I intend to carry on my campaign to highlight the dangers of WiFi. I am not against a bit of technology but I do feel schools should be aware that some children are going to be sensitive to it and reduce its use. “I think some technology is very useful. I am glad I had a mobile phone with me when I found Jenny so I was able to ring for help.” Mrs Fry said a lot of countries are taking note of its dangers now. France and Germany have acted to remove WiFi in nursery schools and reduce its use elsewhere. A campaign to offset and reduce radiation exposure in schools has been endorsed by many professionals including Professor Jacqueline McGlade, executive director of the European Environment Agency and Dr Erica Mallery-Blythe, medical advisor for Electrosensitivity UK. Oxfordshire coroner Darren Salter said he was unable to rule out it was a possible cry for help because of the texts she sent to a friend. He also did not include the factors relating to EHS as he said there were no medical notes to prove Jenny did suffer from it. EHS continues not be to recognised as a medical diagnosis in the UK. Simon Duffy, headmaster of Chipping Norton School said: “The safety of our students whilst they are in school is paramount and Jenny’s safety at school was just as important as anyone else’s. We insist on high standards at Chipping Norton School and our students know that there are sanctions for such things as not completing homework or having incorrect uniform. As with some other students, Jenny occasionally failed to meet these expectations, but was always offered the support of her teachers. You know why all these countries are allowing WiFi to harm human beings? That’s because in so many countries, Governments are Companies! !